On the heels of a successful Kickstarter campaign, a fledgling West Coast ceramics start-up called Constellation Supply Co. is entering the scene with the Little Dripper, a pourover drip device that incorporates attributes of a variety of existing brewers into what they believe is the ideal combination of ease, aesthetics, build quality and performance. 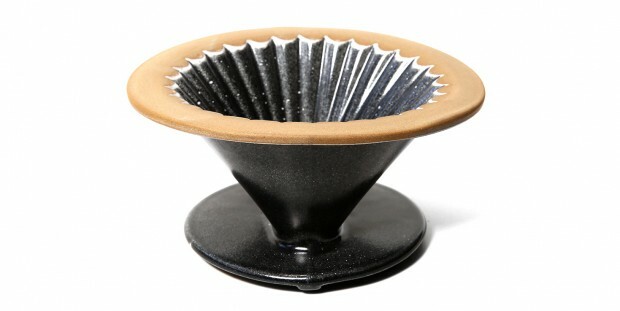 The most apparent departures taken by the Little Dripper are its absence of a handle — users lift and hold it by an attractive 360-degree lip around the top — and its ruffle-looking fluted interior molding, which helps maintain water temperature by trapping warm columns of air. Subtler but equally important distinctions are its smaller-than-average brew holes and its flat-bottom design. The absence of a handle is both an aesthetic choice and a practical one, reducing the odds of breakage if the brewer drops or gets jostled inside luggage. Smaller brew holes slow the flow of water, which allows for a coarser grind and helps prevent over extraction, which contributes to its ease of use. The coarser grind in a flat-bottomed filter help achieve a fuller-bodied cup, akin to the results from immersion-style brewing. 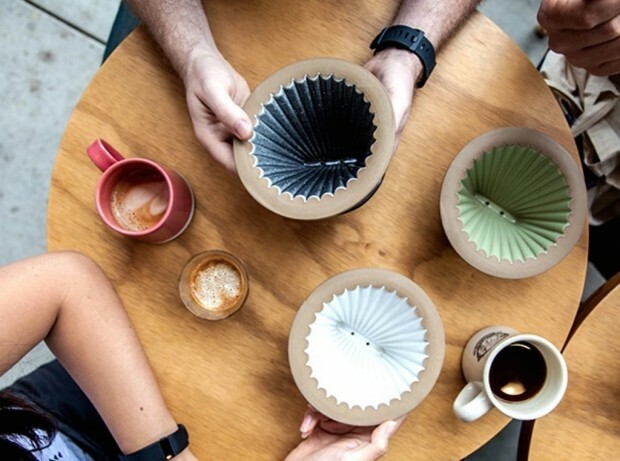 The brewer is sized and shaped specifically to accept the widely available Melitta paper filters, not just because these filters do a great job, but for their ubiquity. 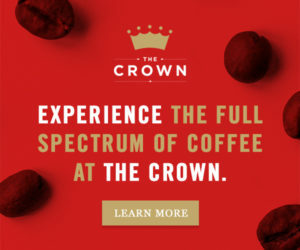 Plus, Constellation Supply founder Evan Dorhmann believes that the Melitta style of pourover brewing yields the most consistently excellent results. “The Melitta, with that flat bottom, works for almost everything. It’s really forgiving,” Dorhmann told Daily Coffee News. “It represents most coffees really well, whereas certain coffees might shine via Chemex and others might not. Certain coffees might shine via an immersion method, via Clever, yet certain coffees might not.” Dorhmann contends that V60 can be tricky to perfect, and though the Bee House dripper is an easygoing method, it may not please some people aesthetically. Meanwhile, like the Kalita Wave, Dorhmann wanted to make a brewer that worked well without using water to control the flow rate—removing the cup before all the water has passed through — which is a technique used in the pros but can be a turn-off for novices. An astronomy buff and fifth-generation Oregonian, Dorhmann worked in sales for Stumptown Coffee for over a year before moving south from Portland to L.A. in 2013 to assume the position of Senior West Coast Representative, setting up new wholesale relationships in conjunction with Stumptown’s first L.A. roastery and retail cafe. He was among the first resident employees of Stumptown in L.A., and he still lives there, for now, with his wife and newborn baby daughter. Dorhmann has partnered with the Portland-based manufacturer Mudshark Studios for Constellation’s ceramic production, of which the Little Dripper is only the beginning. “My plan for constellation is to do a number of things,” said Dorhmann. 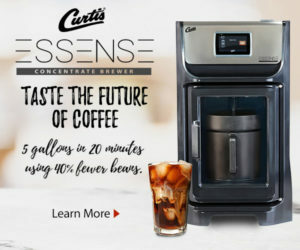 A larger, multi-cup brewer called the Big Dripper is ready and waiting in the wings, as is a glass mid-century-modern-style companion carafe that matches the drippers’ aesthetic and build quality for a complete and decorative system. 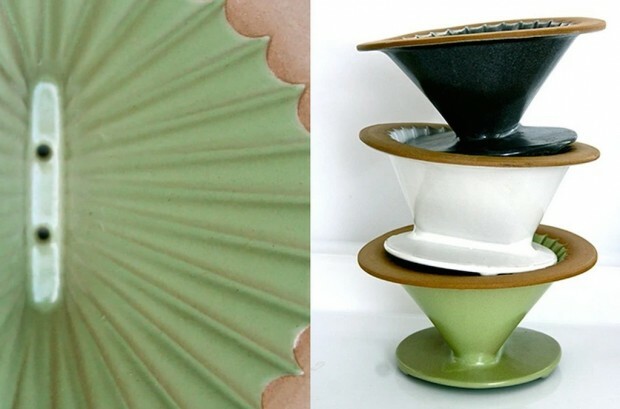 Beyond that, a full line of commercial cafe ceramics is another aspiration.